This home has seen so much life over the years, and most of its life has been in the ownership of one family. Now is the opportunity for you to be the next part in the story and bring it back to the home it deserves to be. 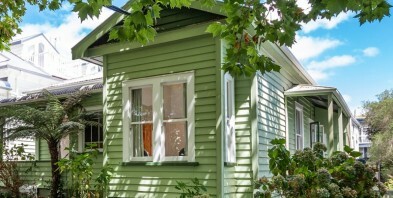 Situated on the popular tree-lined Browning Street, only a short walk to Grey Lynn School, this home is part of a family-based neighbourhood where properties are tightly held - and for good reason. Parks, Sunday farmers market, a great collection of cafes and wonderful local shops are all an easy stroll away. Not to mention it's a quick and easy commute to the CBD. Number 10 presents as an exciting renovation project with so much scope to create the home you've always wanted. The large site allows for maximising the aspect available, while the villa itself reflects all the character of its era. Don't miss this opportunity to add your creativity and make it your home to love. These properties are becoming few and far between.